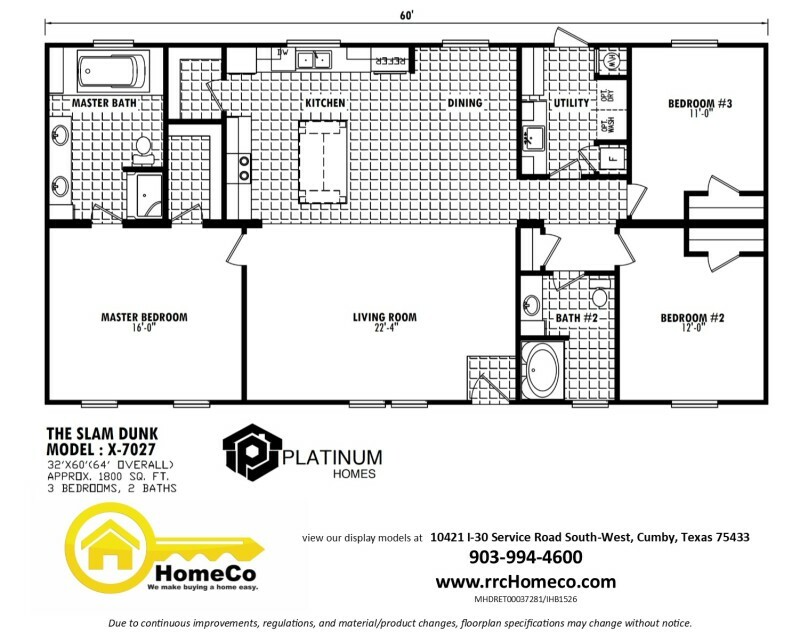 The Homeco Three Pointer built by Platinum Homes is an attractive, classy three bedroom, two bath home with lots of character. With accents in just the right places, it will impress your guests at every turn. With large picture windows all along the backside of the kitchen and dining area, it offers massive cabinet storage space with amazing natural light. Hang your big screen TV in style. The living room features a white shiplap entertainment wall with rock columns on each side. 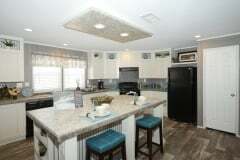 And wait until you see the master bathroom! It has a soaker tub with a separate shower PLUS a large makeup vanity, his and her separate sinks, LED lighted mirrors, and a separate toilet room. And the utility room has some truly impressive builtins that will definitely make your life easier. 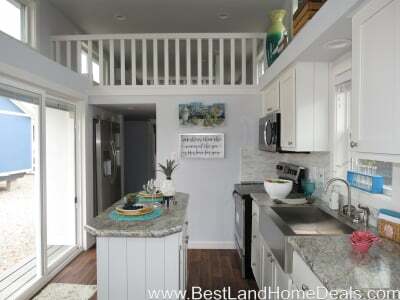 This display model has a fantastic exterior and a gorgeous interior. You’ve got to come see it at Homeco at 10421 I-30 Service Road South-West in Cumby, Texas. Call us at 903-994-4600 for more information.